This entry was posted in Gift Boxes, Gift Packaging, Papercraft and tagged cardmaking, diecutting, Gem gift boxes, Gem shaped boxes, Gift Boxes, handmade cards, NeverStopMaking, papercrafting, Papercrafts, Spellbinders, Spellbinders You're A Gem, Tombow adhesive, Tombow Xtreme, TombowUSA, You're a Gem by dannscraftingwhims. Bookmark the permalink. These look gorgeous! Great gift boxes! These are so fun with the glitter paper! 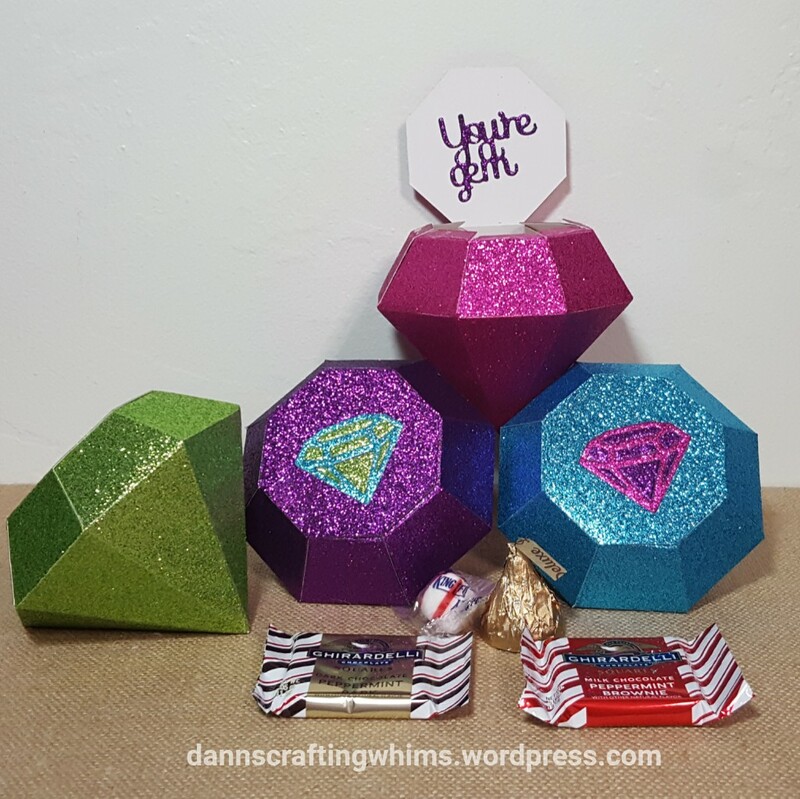 Wow, the recipients are going to ooh and ahh over the glitzy favor boxes! Thanks for telling us what adhesive you used to hold the glitter paper together because I wondered about that. I use Sookwang tape for my tough adhesive projects but hadn’t tried it on glitter paper. Love your sparkly and posh looking gift boxes.